On my way to work at the Capitol last night, my beautiful 2006 HHR passed a milestone. I bet if you tried to take a picture in the dark while looking at the road, you’d be blurry too! 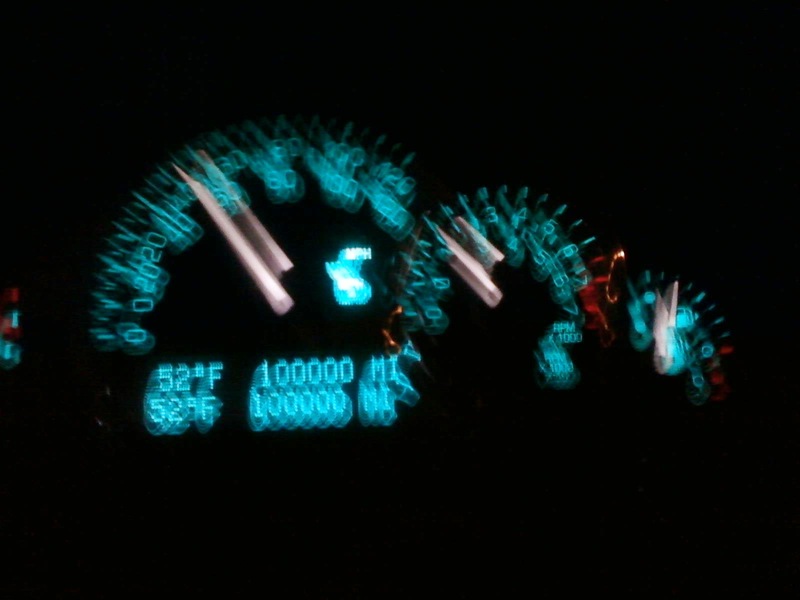 Yes, my car went to 100,000 miles. 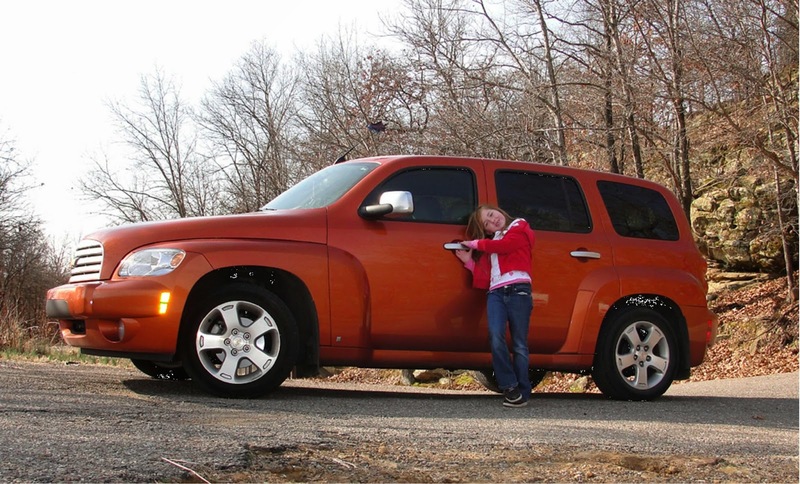 I bought it used on February 21, 2009, from a now-defunct dealership, City Chevrolet. We made a friend of our salesman, a great guy named John Brown, when we bought two cars from him (for Joyce and Julie) one day and then I came back the next week and found this jewel on the Certified lot. It’s just my perfectly comfortable size. And our son Matthew, who’s 6’4”, says it’s too small for him to drive comfortably. BONUS! Of course, I’ve done a few additions. 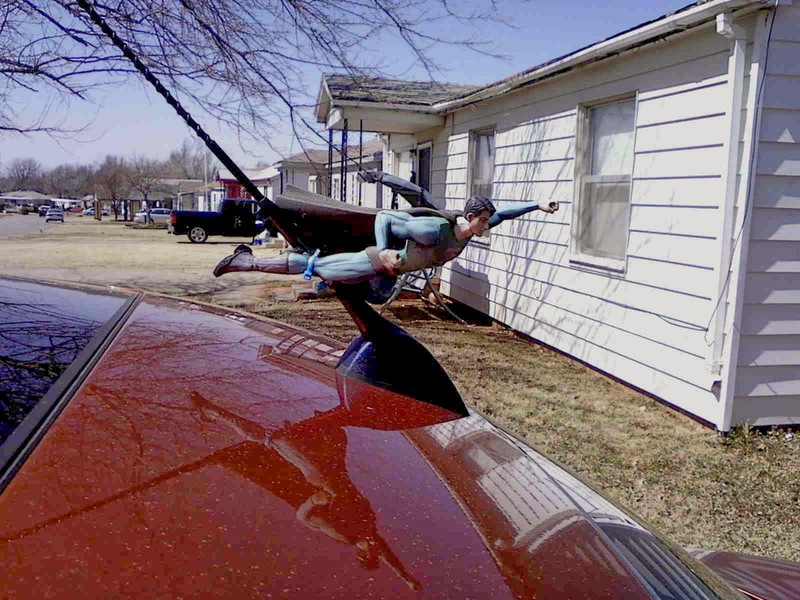 Zip-tied and glued to my antenna is a Superman Returns figure (it seemed the appropriate pose). 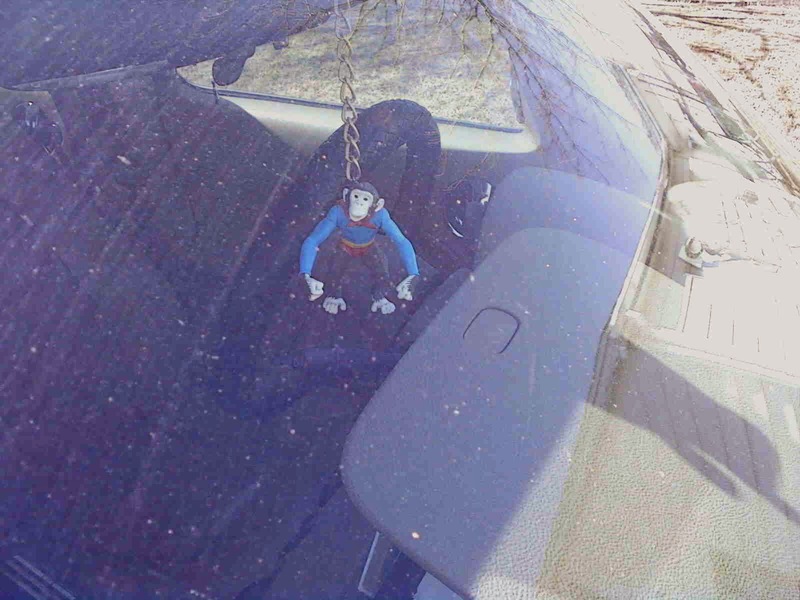 Now, hanging from the rear-view mirror is Beppo the Super-Monkey. He came as part of a pack with a “Superman Robot” from DC Direct in 2006. 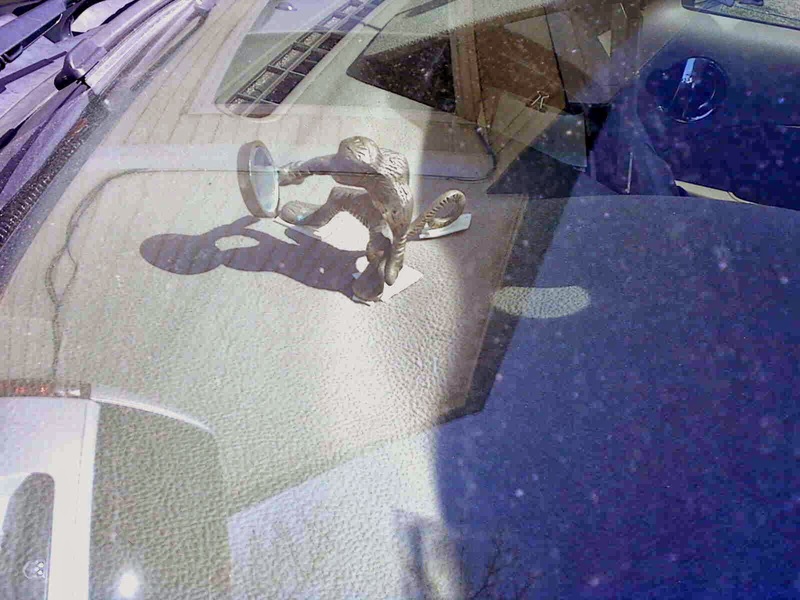 A great design feature of the HHR is the top-dashboard stowaway compartment. What makes it great is that the lid opening is the perfect size to hold a CD vertically. 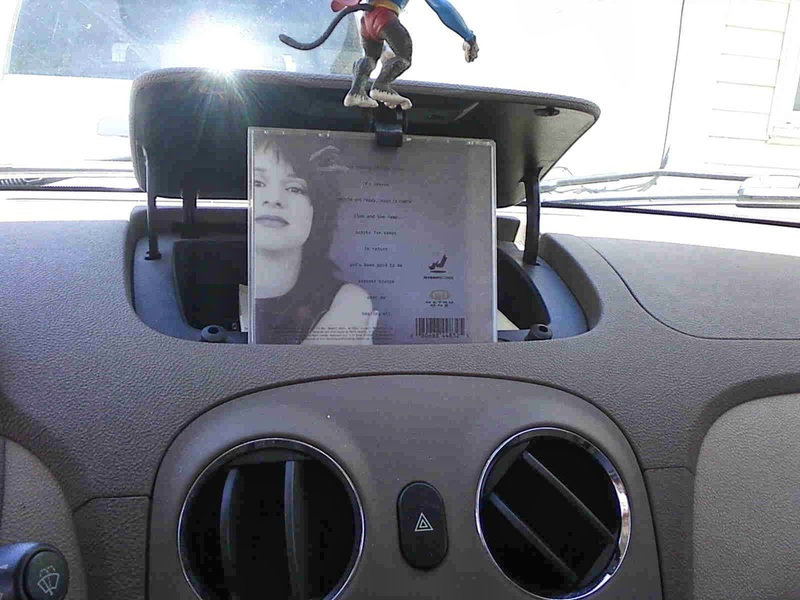 I like to stand up the “now playing” CD so I can easily read the back of the CD case and see what song is playing. 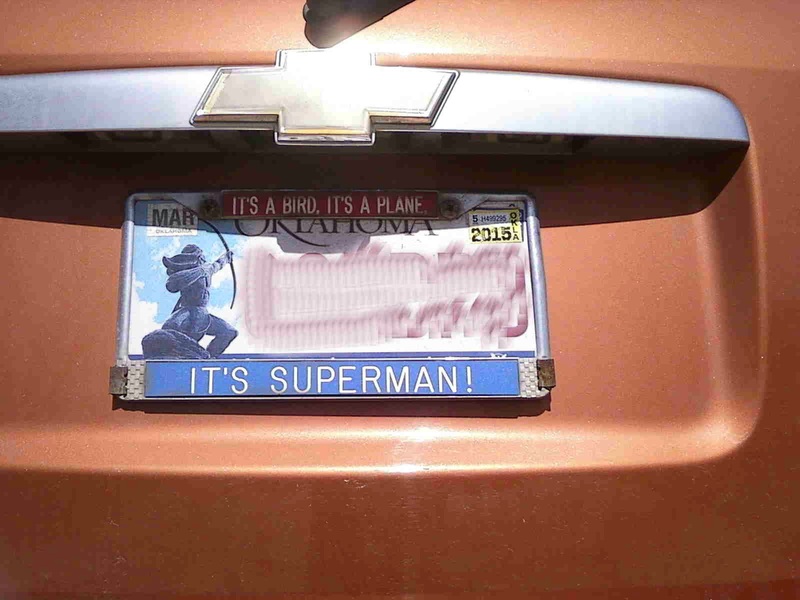 A few years ago, Joyce bought this license plate frame for me. Barring a terrible calamity, I hope my old friend shares many more adventures with me!